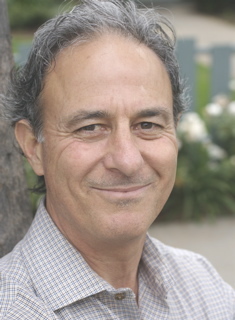 Randy Herman, MA, MFT, earned his BA at UC San Diego and San Diego State University, and received his MA in Marriage and Family Therapy from Phillips Graduate Institute in Los Angeles. He conceived, structured and led an ongoing elder therapy group in Los Angeles and worked extensively with seriously emotionally disordered children and teens. Currently he sees adults in individual and couple therapy, in-office or by phone, and works with military service members and their families through The Soldiers Project. An athlete, actor, writer and musician, he's married, has two sons, and shares a home in Encinitas with his wife and two biiiiig dogs.